Ryse: Son of Rome, Crytek’s exhilarating next-gen title, has earned itself a prestigious SIGGRAPH award for Best Real-Time Graphics. Ryse was released last November for Xbox One, and has impressed players and press around the world with its groundbreaking visuals. During the game’s development there was a special emphasis on realistic characters and immersive story-telling; all of which helped to catch the eye of SIGGRAPH's judging panel and earn Ryse a top spot in their Computer Animation Festival awards. SIGGRAPH is the leading annual festival on computer graphics and interactive techniques, and is running this year from 10 August, 2014 until 14 August, 2014 in the Vancouver Convention Center, Canada. In addition, from Monday, August 11 – Wednesday, August 13, Ryse will feature in the Electronic Theater – an eclectic showcase of the finest work in computer graphics from the past 12 months. 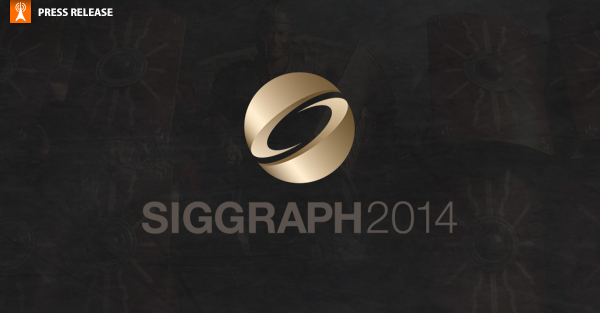 For full details on Crytek's participation at SIGGRAPH, visit the official Crytek blog. Crytek GmbH (“Crytek”) is an independent company at the forefront of the interactive entertainment industry, and is dedicated to pushing the boundaries of gaming by creating standout experiences for PC, Xbox One, PlayStation®4, Wii UTM, Xbox 360, PlayStation®3, iOS and Android using their cutting-edge 3D-Game-Technology, CRYENGINE®. The company’s headquarters are in Frankfurt am Main (Germany). Crytek also has studios in Kiev (Ukraine), Budapest (Hungary), Sofia (Bulgaria), Seoul (South Korea), Nottingham (UK), Shanghai (China), Istanbul (Turkey) and Austin (USA).